The popular ski resort of Courchevel is part of The Three Valleys (Les Trois Valleés) which combined are the largest linked ski areas in the world. 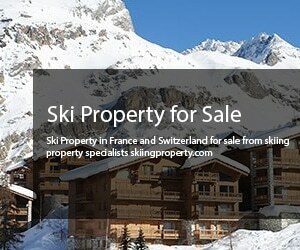 With this in mind it’s not surprising that ski properties for sale in Courchevel make a super investment. Keen skiers and snowboarders flock to this area throughout the ski season to take part in their favourite sport and with four different villages that Courchevel has to offer they are spoilt for choice. The villages are set at different altitudes and the number after the village name represents the altitude in metres, and they are: Courchevel 1300 (Le Praz) Courchevel 1550 (Courchevel Village) Courchevel 1650 (Moriond) and Courchevel 1850 (Courchevel). The highest resort in Courchevel is Courchevel 1850 (obviously), this is perhaps the best known of the villages for its exclusivity and is referred to as the St. Tropez of winter sports and this is the village where everyone wants to buy their ski apartment or ski chalet for sale. Why buy in this village? This is where skiers want to be and this is the area to be seen in. Beautiful properties here have breathtaking scenery and the best views imaginable and if you are wanting to wake up to this type of vista, you may as well buy in the best location that money can buy. The village centre of Courchevel is in the commune of Saint-Bon-Tarentaise which is in the Tarentaise Valley in the Rhône-Alpes region in the East of France. 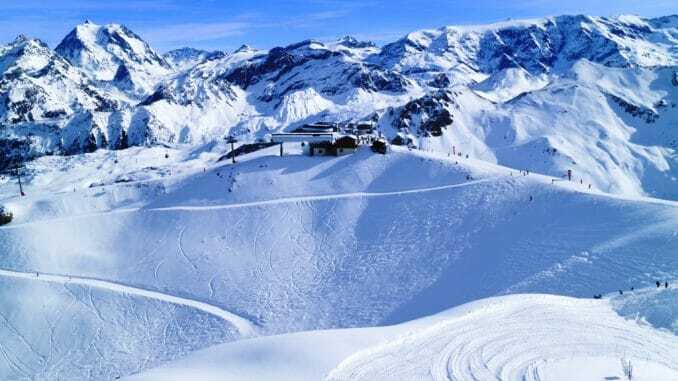 Its neighbours include the skiing areas of Espace Killy which includes Val d’Isère and Tignes plus the ski area of Paradiski which includes the ski areas of Les Arcs and La Plagne. If you invest in Courchevel you can enjoy the ski property yourself and all the extra activities that goes with it, apart from skiing and snowboarding. If you are buying as an investment you will earn a superb income from renting the property out. Ski apartments start from 1, 2 and 3 bedrooms offering comfortable accommodation and are close to village amenities. If you opt for high end apartments they are larger in size offering more living space and the apartment blocks have communal drying rooms with lockable storage to keep your ski equipment safe. Ski-in ski-out apartments are in close proximity to the ski lifts and village centre, with this type of apartment you don’t need to worry about getting around, everything is close by. Ski chalets offer from 4 bedrooms upwards with a whole range of facilities including parking spaces and again are close to the village centre and are close to ski lifts. It goes without saying the views are exceptional of the mountain and surrounding areas. If you prefer to invest in a luxury chalet, there is all the luxury you can handle. They start from 5 bedrooms upwards and all bedrooms have en-suite bathrooms. You have large living spaces and the ultimate in comfort plus a private swimming pool, spa and hot tub are just a few luxurious treats you, your family and friends can enjoy. Courchevel as a resort offers a range of attractions apart from skiing where you can ski to your heart’s content on 150km alpine ski runs. There is an indoor ice rink, helicopter mountain tours, paragliding and a range of water sports. Christmas and New Year is an enchanting time to visit with the village adorned with twinkling lights. Courchevel is easy to reach with foreign owners flying in to Geneva Airport which is 149km away. Courchevel property for sale offers a wonderful investment for lovers of the outdoors.